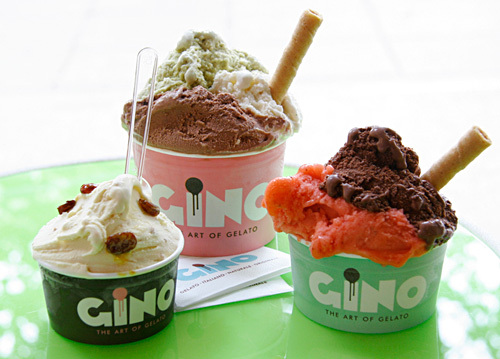 Mystery is delighted to offer you a taste of GINO – London's newest and most exciting gelato experience (that's authentic Italian-style ice cream to those yet to sample it!). GINO has been set up by friends Alex Gherzi and Yaniv Stein, two enthusiastic entrepreneurs looking for a creative diversion from their pressurised city jobs – something which allowed them to indulge in their passion for seeking out the world's most delicious truly authentic Italian gelato (the secret is 100% organic milk, 100% all-natural ingredients and recipes exclusively developed by the 1st Italian Champion of gelato). Alongside brand strategy and identity work, Mystery had huge fun creating a whole world of GINO including interior graphics, signage, uniforms, consumables, website, stationery and promotional material. Alex said of working with the team, "Mystery could not have done a better job. One month after opening our first store we have been contacted by one of the most well respected global brands to supply their flagship store in London with our product, they have particularly complimented us on the branding aspects of the business". We promised you a taste of GINO – that's why we've agreed with Alex and Yaniv that friends of Mystery are also friends of GINO! 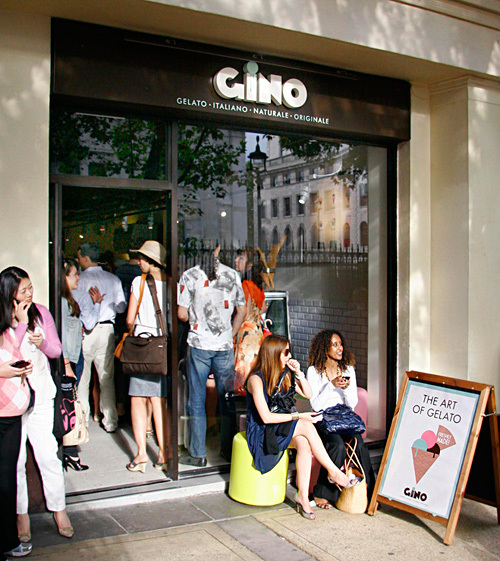 The first 10 Mystery friends can sample a free gelato and there's 10% off future purchases for all of you after that – just print out this email and take it to GINO's flagship store, 3 Adelaide Street, London WC2 (near Trafalgar Square). I can personally recommend the Frutti di Bosco (though Chocolate Chianti and Honeyed Figs & Mascarpone are pretty outstanding! ).